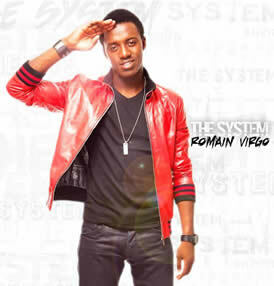 Reggae singer Romain Virgo released a new album today. The System (VP Records) is his second full length release since his musical debut in 2010. Already having attained the title of Reggae Artist of the Year for 2012 by JaRIA, this new project will be sure to solidify his position in the reggae arena. As the title suggests, The System is full of songs about the struggle of survival in Jamaica. Even though the songs are a window into parts of Romain’s life growing up, the songs are relevant to anyone facing the same disadvantages in having no job or even a minimum wage occupation. The songs are a vivid depiction of what those less fortunate have to deal with while trying to preserve self or care for a whole family.